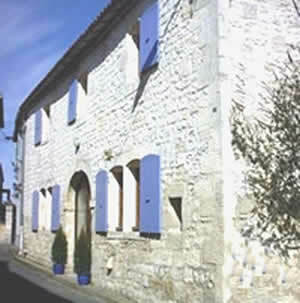 Spacious self-catering holiday accommodation for up to 12 people in the Charente Maritime. Cheap prices on dover to france ferry crossings, always good offers! HappyCow is a free vegetarian restaurant & health food store guide, providing a worldwide searchable database currently reaching into cities and towns in 69 countries. Over 3000 businesses are listed. Vegetarians' International Voice for Animals is one of the world's leading Vegetarian and Vegan charities. On their site you can find lots of information about why and how to become vegetarian. There are answers for all the difficult questions as well as lots of things to buy, recipe ideas and information on supporting the charity. This is an invaluable source of information for Vegans, and an inspiration to many vegetarians thinking of taking the next step. A directory of places to stay around the world that use organic ingredients. Great vegetarian/vegan tv station, full of interesting stuff! Footprint Travel Guides offers a great database of unusual places to stay, all at the touch of a button. An excellent site, lots of news, reviews, recipes and details of all the vegetarian societies around the world. The VRG is an educational non-profit group providing information on vegetarianism and veganism. Based in the U.S.A. Le Guide Bio, an excellent french site that has details of Organic (bio) places in france.